We take pride in our clean and bright hospital. 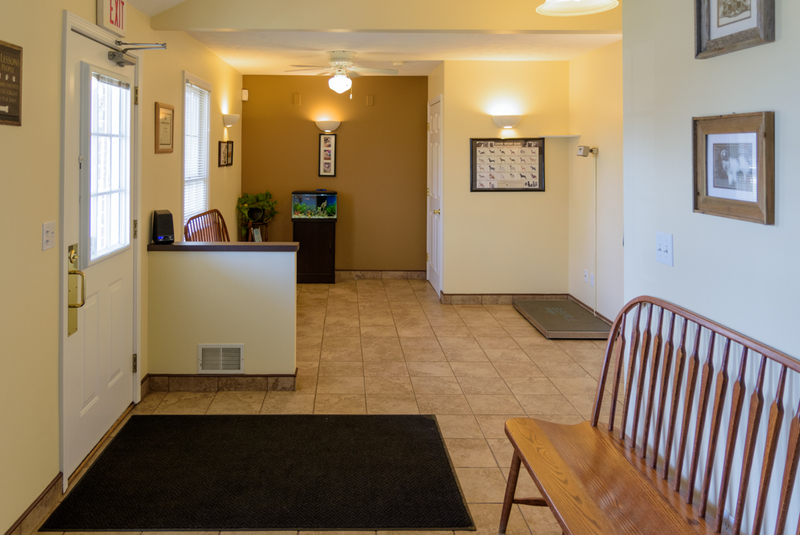 We would not call it a waiting room, most of our clients do not have to wait long - if at all. We do our best to prevent wasting your valuable time. 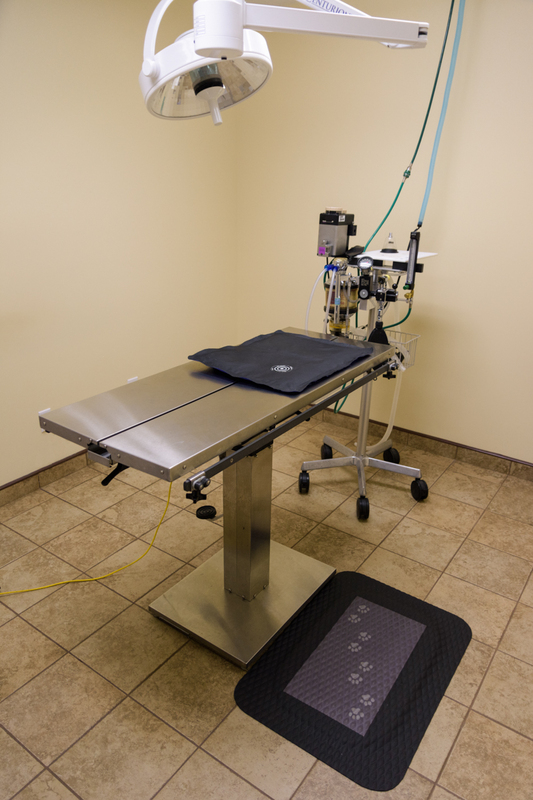 Our large exam room comes equipped with a lift table, making it easier (and less scary!) to bring your pet to our level. 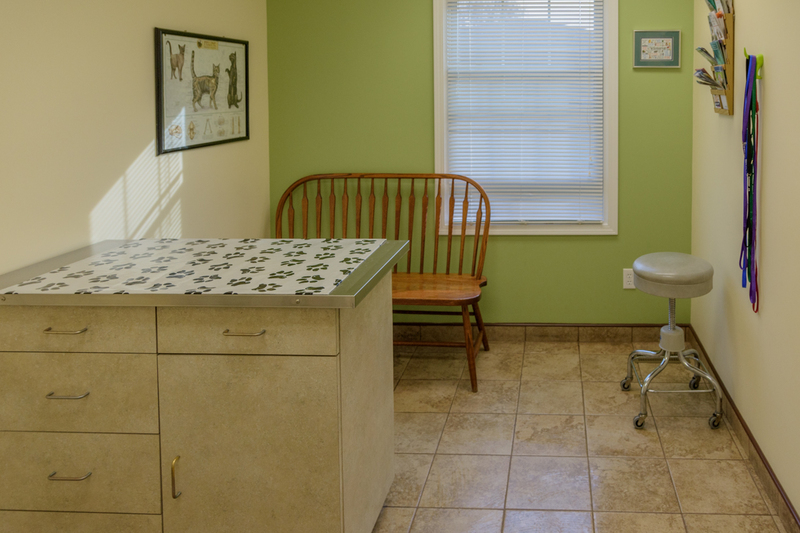 Our small exam room accommodates smaller pets. 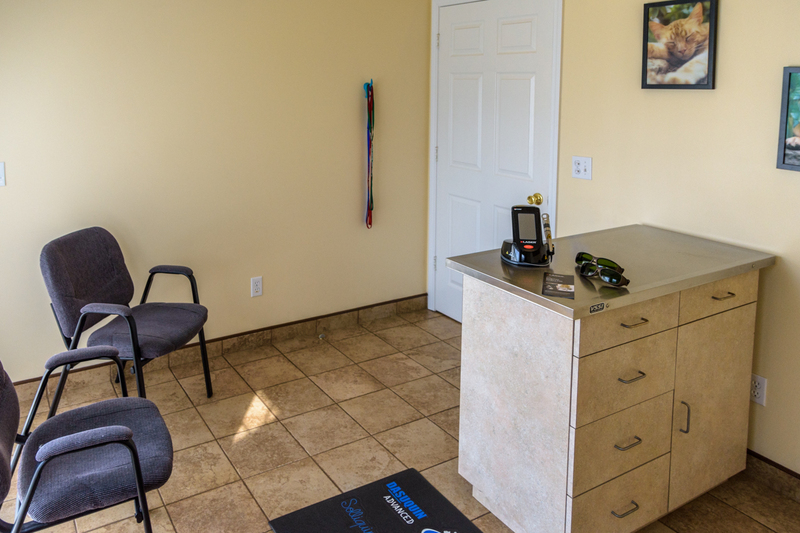 This exam room is where we often perform our laser therapy sessions. 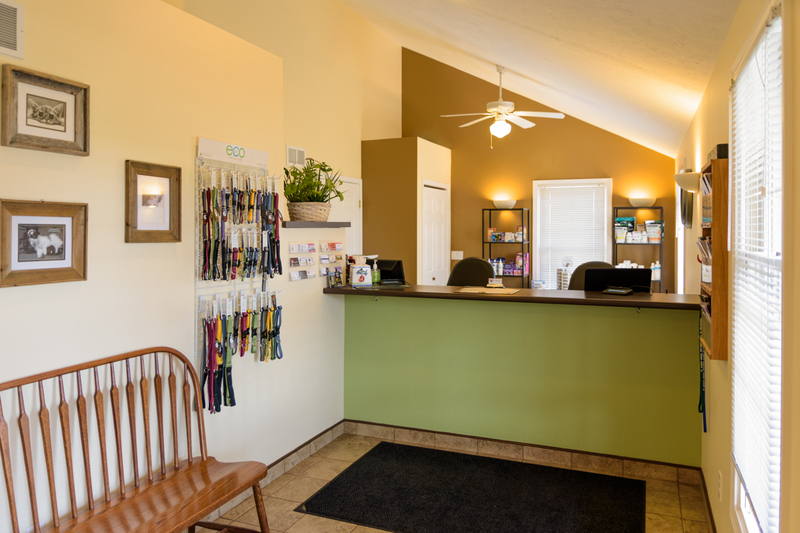 We are proud to be able to offer your pet the K Laser services. Please follow the link on the Link Page for more information. 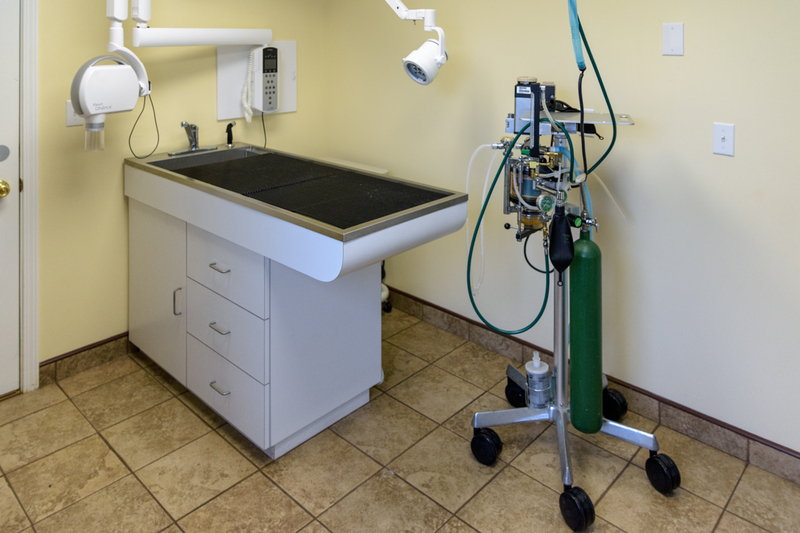 The surgery room includes a gas anesthetic machine, blood pressure unit, warming blanket, and other important surgical items. We utilize the safest available anesthetics to provide an extra margin of safety, especially for our older or high-risk patients. Using the most modern equipment, the patient's vital signs are monitored during all anesthetic procedures. 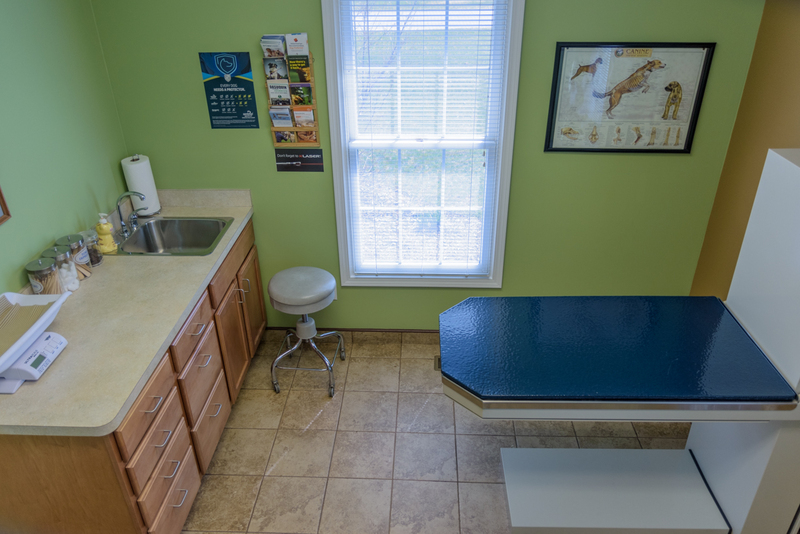 Our treatment area contains a special table for dental procedures, a high tech dental machine, and a digital dental x-ray unit. 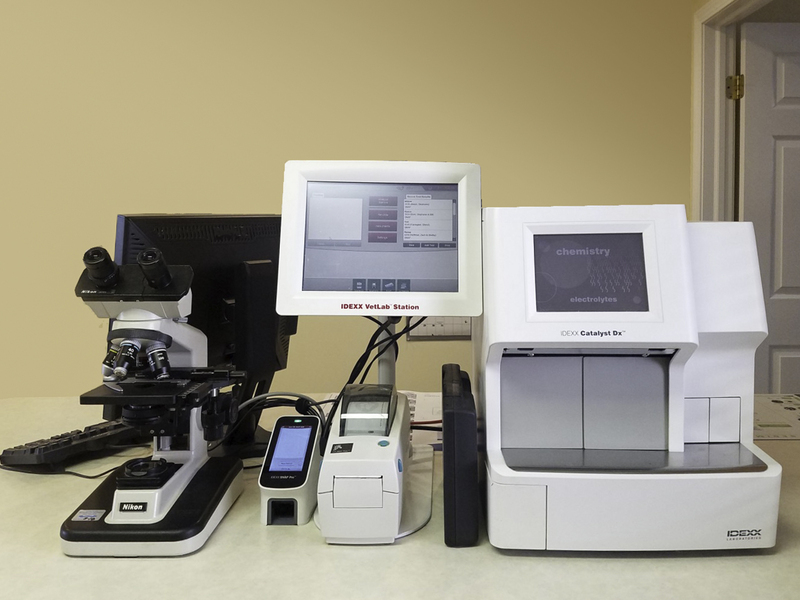 The lab has a full pharmacy and a full line of diagnostic machines to ensure your pet gets the very best medical care.